The Financial Services Commission (FSC) will go ahead with its plan to allow the establishment of the nation’s 3rd and 4th Internet banks in the spring of next year, financial sources said recently. The financial authority will file the application for the government licenses for the two new Internet banks before the end of this year, in line with the Presidential Decree requiring the move by the FSC so that the two Internet banks can be set up in April next year. Financial firms wanting to set up Internet banks have been following the news to plan their next moves to apply for licenses, the sources said. The FSC, in the meantime, has a professional financial research organization to take charge of a report on the evaluation of the competitive nature of the banks’ operations in time for the opening of an event to size up the banking operations in the country next month. The Banks Competitive Operation Evaluation Committee will use the report to size up the competitive banking operations and announce the results in November. If the results show that the competition among the Internet banks is not yet hard enough, the financial authorities will decide to allow more new Internet banks in the country. The FSC will set up various regulations under the Internet Banking Law to be implemented early next year. The FSC will also take action to set up standard regulations for allowing the new Internet banks based on the bank competitive operation evaluation report and the new Internet Law. Under the new Internet Law, the financial authorities will accept the applications for the licenses to set up the new Internet banks in February and March next year so that the new Internet banks may be able to be set up in May. As in 2015, when the first two new Internet bank were given the licenses at the same time, the new Internet banks would also be given the licenses at the same time next year, too. 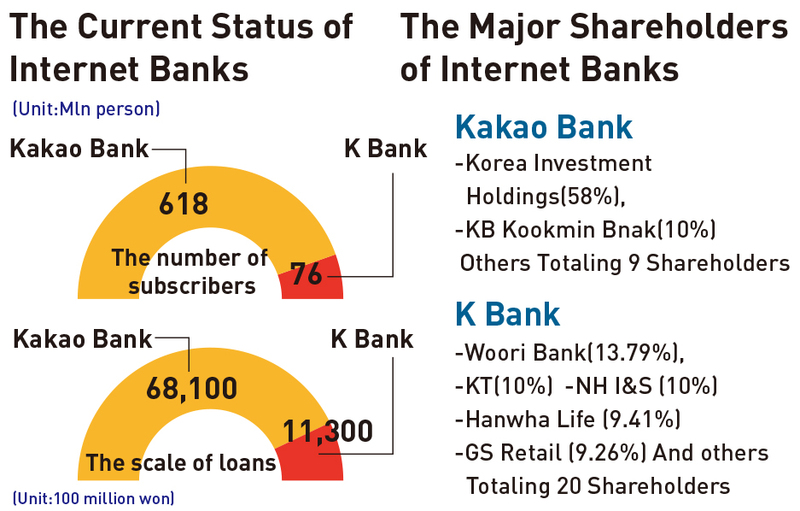 The two new Internet Banks would be able to open their operations in 2020, judging how the Kakao Bank and K Bank prepared their operations, taking about a year for the preparation. 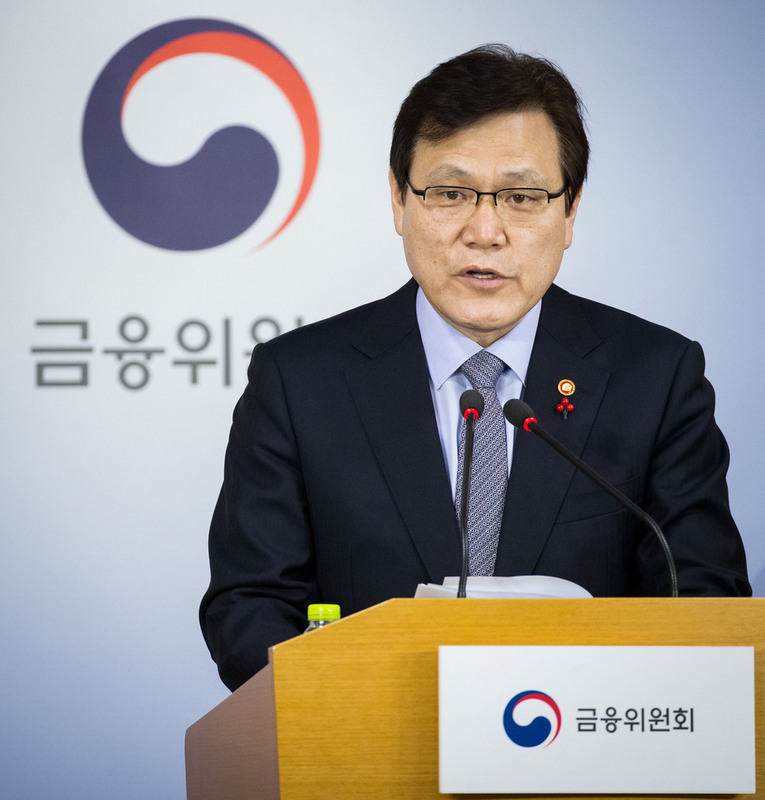 Financial Services Commission Chairman Choi Jong-ku said recently that the commission will likely grant approval for the nation's third and 4th Internet-only banks around April or May of next year. Speaking to reporters, Choi made the projection as he pointed out that a special law on Internet-only banks will go into effect three months after it is promulgated. He said the FSC will be able to grant approvals around April next year if it gets applications in February or March. Choi said approving such banks must become the catalyst for true financial reform, stressing that more than two such banks should be granted approval. Choi cited that the special law on Internet-only banks stipulates in detail the permissible scope of major shareholders, saying the relevant ordinance will seek to remove concerns that conglomerates could use such banks as their private coffers. The FSC named 18 private firms as fund managers of the Growth Support Fund, which aims to raise KRW 3 trillion this year to support the growth of start-ups. The fund is part of the FSC’s scheme to create a financial ecosystem that funds innovative start-ups to grow into scale-ups to exits, creating a virtuous cycle of capital. The fund plans to create a total of KRW 8 trillion in three years, with public and private investments. To encourage private investors to take an active role, 60% of the fund will be financed by private investments. The fund will be invested into each league of start-ups, categorized according to business cycle: venture, growth, scale- up and rookie.